This Well-Kept & Charming 3BR/2.5BA Ranch is Located in Wescott Plantation of Summerville within the Highly Desired Dorchester II School District & Close Proximity to an Abundance of Popular Dining & Shopping in the Area! ** Step inside to Discover New Bamboo Flooring throughout the Home, Vaulted Ceilings, and a Bright Open Concept! ** The Family Room features a Cozy Fireplace & Ceiling Fan ** The Master En Suite boasts a Walk-in Closet, Ceiling Fan, Vaulted Ceiling, and Dual Vanities! ** Enjoy the Convenience of your Screened Porch and the Wooded Privacy behind your Home ** Wescott Plantation has a Neighborhood Swimming Pool, Play Park, Walk/Jog Trails, and Available Memberships to Wescott's Golf Course, which is the Largest Course in the Tri-county Area! 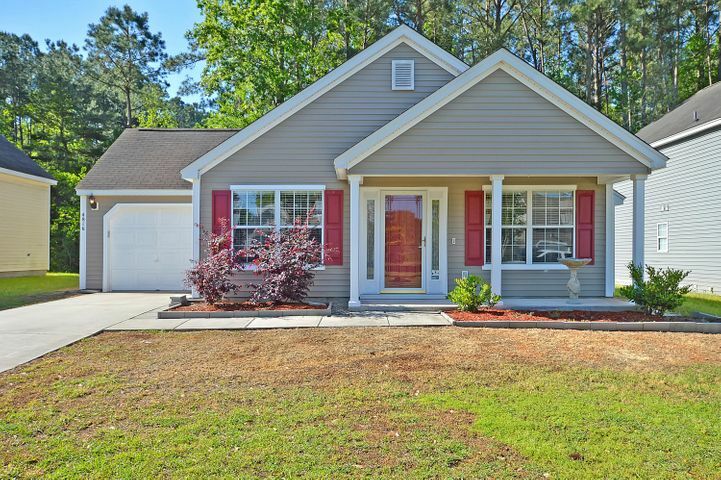 This Home has Easy Access to Dorchester Road, Patriot Blvd, and Palmetto Commerce with NO FLOOD INSURANCE REQUIRED! CONTACT LISTING AGENT: Stephen Heath (843) 416-1417 OR stephen@HunterReynoldsGroup.com WITH ALL QUESTIONS & OFFERS Click HERE to go to the property's personal webpage Click HERE for the virtual tour.